Why is Siding & Windows Group the premier Naperville siding contractor? We’re recognized as a leader in our industry for our exceptional customer service, highly skilled installers and commitment to innovation in exterior home design. Clients who work with us reap the benefits, including beautiful homes and superior warranties on all our products and services. If you’re in need of a reliable, professional siding contractor in Naperville, Siding & Windows Group can help. Siding replacement is one of the biggest investments you’ll make in your home, and you’ll live with the results for many years. Siding & Windows Group is proud to offer only the best products, installed by our highly skilled professionals. If you love the classic look of wood siding but want to avoid the maintenance and expenses, consider James Hardie siding. As an Elite Preferred Contractor for James Hardie siding, our siding is installed and built to last. The fiber-cement siding product, James Hardie includes sand, cement and cellulose fiber to achieve superior stability and strength. It stands up to wind, snow, ice, rain and sun alike. Professionally installed fiber-cement siding will provide you with beautiful, long-lasting durability for many years. This siding uses sand, cellulose fibers and cement to form a solid blend that looks like real brick, stone or wood. Fiber-cement siding was patented in 1901 and has stood the test of time as a continually preferred product for siding installation. 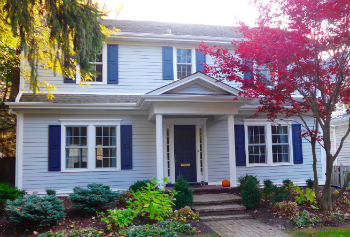 Siding & Windows Group is proud to supply vinyl siding for the Naperville, IL area. When choosing a reliable siding contractor for your home Siding & Windows Group is your goto installer. With years of experience in the siding contracting business, we know how to install it right the first time. Mastic: When looking for a siding brand that you can trust, you are not only looking for reliability and performance but product performance too. Since 1932, Mastic siding has developed a low maintenance siding beautifully build for your home. Siding & Windows Group is one of the most trusted and experienced siding contractors in the Naperville area, and we are committed to your satisfaction. We strive to exceed your expectations at all times for quality work, professionalism and exceptional customer service. Why do hundreds of clients choose us? Our 100-percent customer approval rating. More than 30 years in business. A stellar reputation throughout the greater Naperville area. Industry recognition: We consistently earn the Angie’s List and Guild Quality highest ratings, and we’ve received multiple additional awards and honors. Fully bonded, insured and licensed. Financing options through Synchrony Bank. The industry leader for our architectural innovation in exterior home design. Solid warranties that guarantee reliable workmanship and product excellence. When you’re ready for siding replacement for your home, choose the professional, reliable siding installers for the Naperville area. For a no-cost estimate, contact us today or call (847) 251-4200. The workmanship on our home is very good, and we are happy with the results. We have received positive comments about the new exterior of our home from friends and neighbors. The work crews did a very good job of keeping us informed of what they were doing, made helpful suggestions, and ensured that we understood everything that was being done and that it was consistent with the job specifications.